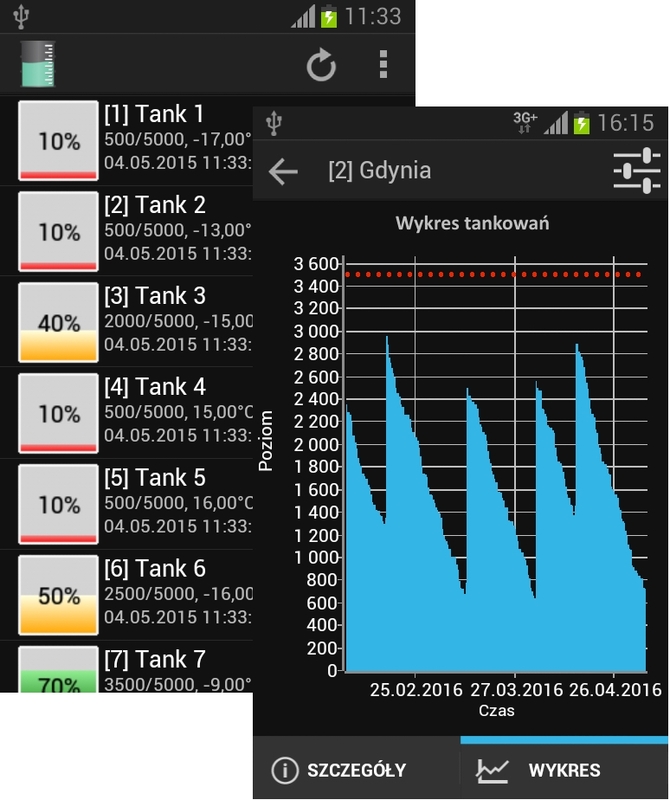 XTrack LevelApp is an application that presents current and historical data of the liquid level in the tank monitored by the system XTrack. Whether you have a tank for diesel, AdBlue, water, liquid fertilizer or waste oil XTrack LevelApp will allow you to monitor the liqiud level from anywhere in the world. 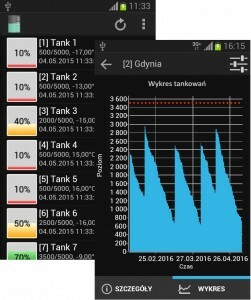 Thanks to this application you will efficiently plan your deliveries to each tank and you will avoid unexpected depletion of the liquid. Note: For proper work of the application it is necessary to have the internet connection and XTrack TankMonitor device mounted in the tank.